Although the move from fossil fuels to renewables is accelerating, recent research out of Austria warns energy production that reduces greenhouse gas emissions may put more pressure on water resources. Energy policymakers will need to carefully craft policy to head off conflict between competing users and avoid stressing water supplies, says the International Institute for Applied Systems Analysis(IIASA) in Austria. Researchers looked in particular at future energy systems, especially electricity generation, and their impact on water. Some forms of electricity generation – such as wind and some photovoltaic solar – are basically carbon dioxide neutral, reducing greenhouse gases and creating “a win-win situation,” Riahi says. But others, including nuclear and biomass, need water – sometimes even more than fossil power systems, according to IIASA’s report. Centralized solar systems which generate power from concentrating solar heat also require large amounts of water. And hydropower presents its own special set of problems. Surely hydropower is a clean form of renewable energy that simply uses water, and then sends it on its way? According to IIASA research team leader Oliver Fricko, a rise in demand for hydropower, if not properly managed, can lead to what he calls “allocation conflict” – especially in developing countries. “In Africa, in Southeast Asia, the population is growing very rapidly,” says Fricko. “The energy demand is expected to increase and this will lead to certain allocation conflicts,” he adds. As sources of potential conflict, he identifies the water needs of individual consumers competing against the needs of agriculture, along with the demands of water for electricity production. There’s another cloud on the hydropower horizon. Even as streams are harnessed for low-emission power to mitigate climate change, climate change itself will be cutting water’s ability to deliver electricity. “We found that climate change will also reduce the capacity at which we can use power plants,” says Fricko. According to IIASA estimates, a “high climate change scenario” would affect up to two-thirds of power plants around the world, reducing the capacity available for electricity generation by 30 percent. While developing countries with the least financial means are the ones most likely to develop future energy systems with a heavy impact on water, industrialized countries also face challenges. Along with more hydropower, the move to CO2-neutral energy production could see more nuclear power stations built. Most of them will be alongside rivers, lakes, oceans and other sources of cooling water they depend on. 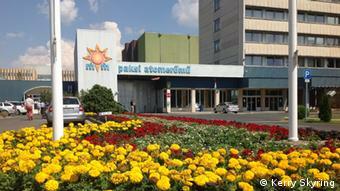 The Paks nuclear power plant in Hungary is one example. Its giant steam turbines provide around 40 percent of the country’s electricity. However, water for those turbines and for cooling the reactors is drawn from the Danube River on which banks the station is built. Heated water is released into the river, and flows downstream. Hydrobiologist Bela Csányi from the Danube Research Institute told DW not enough research has been done on the plant’s environmental impact. But he notes how nonnative species have been flourishing downstream. “For instance, Chinese pond mussels – very big specimens – are living there due to the thermal increment of the water temperature,” he says. 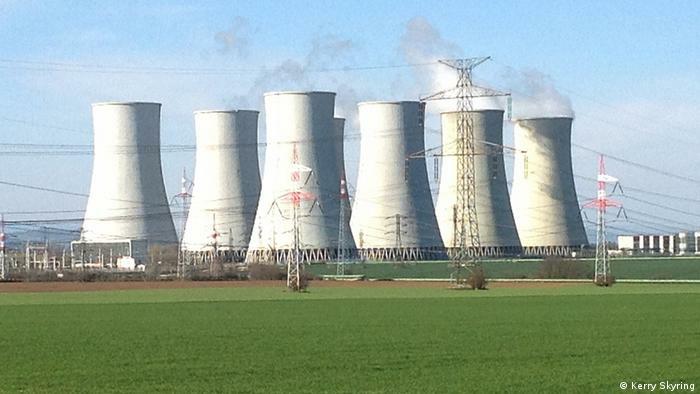 Csányi has an overview of power generation along the entire length of the Danube, which has nuclear and hydropower plants as well as gas- and coal-fired stations. He says some of the streams’ native species are endangered or extinct – but blames past pollution practices more than power generation. 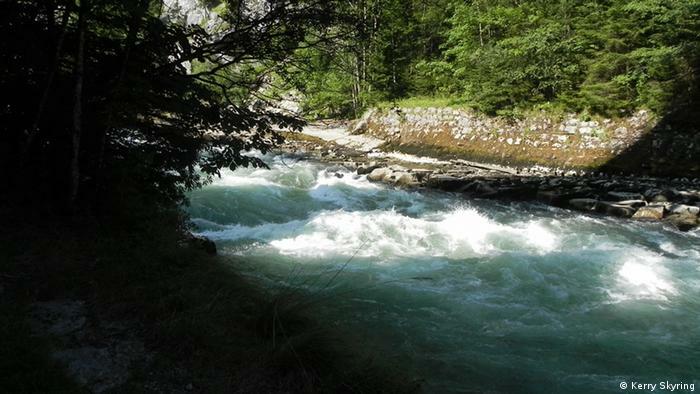 In Austria, clear, fast-flowing streams spin the turbines of thousands of small hydropower plants. Many of them exist on the same spot where their paddle-wheel ancestors once drove sawmills and flour mills. But the IIASA report identifies a threat, even for this centuries-old system. The capacity for hydropower, it says, will decrease by 10 to 15 percent globally as a result of climate change, and by much more in dry months of the year. “When rainfall is not so reliable, or the feeding of rivers from glacier melt is less – of course that is significant for small hydropower, and has the potential to reduce their capacity,” says Paul Ablinger, deputy manager of the Austrian Small Hydropower Association. But Ablinger believes that even without building more power stations, upgrading existing plants and installing turbines on existing dams could see hydropower increase its contribution to clean energy. He estimates these measures could boost existing power output by about a third. That’s the type of adaptation to climate change the IIASA report calls for. It says improving energy efficiency while choosing non-water-intensive clean energy is among the best ways to both avoid stress over global water supplies and conflict over water allocation.